La Compagnie by Florentine Houdinière, LCFH, is dedicated to staging unexpected collaborations between skating and other arts, and to bringing to life innovative choreography and exhilarating performances. LCFH is a platform of collaboration between skating and other arts, and a space for artistic and choreographic research. We wish to explore and nurture the art of skating, dance and all performing arts with inventive choreography, projects, and performances that illuminate the human experience. LCFH mission is to be an open stage for passionate artists wanting to explore the endless possibilities art and skating can create when blended together. The company fosters national and international collaborative relationships among all artists: skaters, dancers, choreographers, composers, actors, musicians, visual artists, photographers, digital artists as well as those in the fields of film, fashion, design, carpentry, literature, etc. All art forms are welcome. We find it vital to continually communicate and join forces with the various contributors to our projects such as sound engineers, video editors, color correctors, production crew, carpenters, and lighting designers. We also wish to create collaborations with a common goal by taking an enthusiastic approach to learning, bonding, and gathering memorable experiences. We believe that through a process of unification and dedication, performances will be enhanced, captivating and meaningful. We are committed to being a platform to transmit our joy for art and mindful ice skating through inspiring educational programs and missions. During her competitive figure skating career, Florentine Houdinière was French Junior champion, member of the French National team, and an international competitor. After turning professional, she was given lead roles such as Belle in Disney On Ice’s Beauty and the Beast, Anastasia in Anastasia On ice by 20th Century Fox & Feld Entertainment, and played Cruela De Vil in Disney On Ice’s Japan Tour. In 1999, she held the main role in the brand new Colours of Dance show produced by Holiday on Ice for their European Tour. She has performed many lead roles in productions such as Broadway on Ice by Willy Bietak, the GPA tour, Holiday on Ice at the Bercy arena, and became a member of Ice Theatre of New York in 2001. She is also choreographer for many high level international competitors as well as skaters from the French National Team. Since 2006 she has participated in many TV shows in Holland, Belgium & in the UK, as a performer or as choreographer. In 2011, she directed and choreographed the Holiday on Ice French winter production. Among various projects, she was the choreography consultant for actress Nadia Roz and her One Woman show at the Théâtre du Temple in Paris and performed the main Adagio roles for the WIWA show in China, the Cirque Bouglione and the Russian Ice Stars. She became Team Choreographer for Olympic champion ice dancer Gwendal Peizerat in the ICE SHOW French TV production on the M6 channel. In 2016, she was the choreographer for the production of the acclaimed De Tocht Van Morgen in the Netherlands. Florentine creates and writes numerous artistic projects, and choreographs for shows and many skating Clubs and competitors in France and abroad. On a side note, as a Parisian, the November 13th 2016 attacks in Paris rocked Florentine to the core and she knew she wanted to contribute something in her own way, on the ice. She created Hommage, a tribute dedicated to the victims and their loved ones and to all those fallen due to acts of violence worldwide. She was invited to present Hommage by the prestigious Ice Theatre of New York, and to restage the piece with the members from their company. Hommage had its New York debut at the Rockefeller Center in March 2016, and has since been performed in NYC regularly. Florentine has been asked to perform the skating act at the historical Lido de Paris, with Maxime Combès in September 2017, in its latest production. “Paris Merveilles” has been directed by Franco Dragone. In October 2017 she signed off the choreography for the musical “Chut mes lunettes ont un secret”, performed at Le Théâtre de la Pépinière in Paris. The production is extended in March 2018 at the Lucernaire theatre in Paris. In 2018, Holiday on Ice along with Gérard Drouot Productions asked Florentine to train Katrina Patchett, dancer on TF1 “Dancing with the Stars” France, for her upcoming Holiday on Ice tour with world champion Brian Joubert. She has worked with the pair on their technical and artistic preparation. In September 2018 she adds some choreography to the play Le CV de Dieu with Jean-Francois Balmer and Didier Bénureau, running at Le Théâtre de la Pépinière in Paris. She is the artistic director of La Compagnie by Florentine Houdinière, seeking to investigate deeper into choreographic and thematic research on ice and to create innovative collaboration with artists coming from diverse artistic backgrounds. TELIKÀ, the company’s latest piece, is a project she has been dreaming about since 2005 and she’s ecstatic to have realized the concept with dancer Julien Marie-Anne. During her competitive skating career, Florentine Houdinière was French Junior champion, member of the French National team, and an international competitor. After turning professional, she is given lead roles such Belle in Disney On Ice’s Beauty and the Beast, Anastasia in Anastasia On ice by 20th Century Fox & Feld Ent., and plays Cruela De Vil in Disney On Ice’s Japan Tour. In 1999, she holds the main role in the brand new Colours of Dance produced by Holiday on Ice for their European Tour. Then she performs many lead roles in productions such as Broadway on Ice by Willy Bietak, the GPA tour, Holiday on Ice at the Bercy arena, and becomes a member of Ice Theatre of New York in 2001. Simultaneously she is the choreographer for many high level international competitors as well as skaters from the french Team. Since 2006 she participates in many TV shows in Holland, Belgium & England, as a performer or as choreographer. In 2011, she directs and choreographs the Holiday on Ice french winter production. Among various projects, she is the choreography consultant for Nadia Roz and her One Woman show at the Théâtre du Temple in Paris and performs the main Adagio roles for the WIWA show in China, the Cirque Bouglione and the Russian Ice Stars. Later, she becomes Team choreographer for Olympic Champion ice dancer Gwendal Peizerat in the ICE SHOW French TV production on the M6 chanel. In 2016, she is the choreographer for the production of the acclaimed De Tocht Van Morgen in the Netherlands. On a side note, as a parisian, the November 13th Paris events rocked her to the core and she knew she wanted to contribute something in her own way, on ice. She went ahead and created Hommage, a tribute dedicated to the victims and their close ones and also to all the ones fallen due to acts of violence worldwide. Creating the tribute got her to be invited by the prestigious Ice Theatre of New York to re stage the piece in New York with members from the company, and to be presented at the Rockefeller Center in March 2016. Since then, Hommage is performed regularly in NYC. 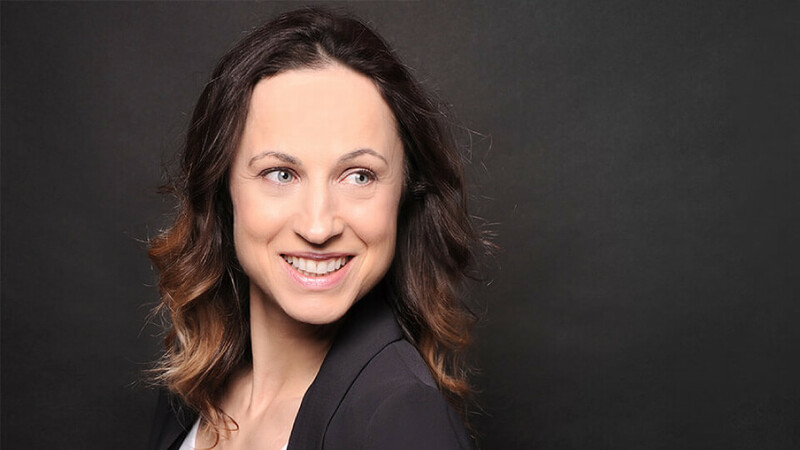 She is the artistic director of La Compagnie by Florentine Houdinière, seeking to investigate deeper into choreographic research on ice and to create innovative collaboration with artists coming from diverse artistic backgrounds. TELIKÀ is a project wich she’s been dreaming about since 2005 and she’s ecstatic to now materialize the concept with Julien Marie-Anne.